In working with fraternity and sorority leaders, especially undergraduates, I’ve stopped calling upon them to create "change." I spent many years promoting “change” and teaching concepts like change management. I never felt satisfied that the students heard these messages. After giving it some thought, I think it’s fairly evident as to why. When students first join Greek-letter organizations, they are so excited about this new adventure in their lives. Students establish almost immediate pride in the organization, learn to love it quickly, and buy up t-shirts, hats, and jewelry. The cheers are done with enthusiasm, and the songs are sung loudly. Their Facebook pages becomes filled with references to their new affiliation, and these new members just can’t stop talking about this new addition to their life. 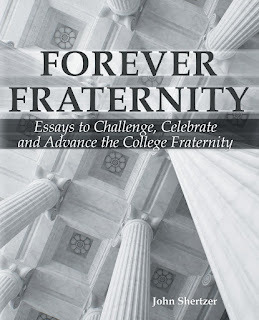 They simply love their fraternity or sorority with all their heart. And then, almost immediately, we tell them they need to change it. We tell them to change their new member education program. Change their risk management practices. Change how they run meetings. How they conduct Ritual. Who they recruit. When they recruit. How they recruit. We tell them to change their thinking about why their organization exists, who it exists for, and how it will continue to exist. We ask that they change their perspective on philanthropy vs. service. Their beliefs on what brotherhood/sisterhood is and how it is built. Their attitudes on image and public relations. Their beliefs about leadership. It’s not that change isn’t needed – obviously it is. How we sell the idea needs to…well…change. I’ve tried to stop using the term “change” when talking to undergraduates. I’ve replaced it with the word “elevate.” I incorporated this term into the UIFI curriculum a few years ago, and I think it works. To elevate something means that you raise it up, you give it more prominence, and you leave it better than when you found it. Like a balloon lifting higher and higher in the air, there is seemingly no end to elevation. For example, instead of changing a new member education program, what will it take to elevate it? To raise it to a higher plane? How do we elevate our recruitment strategy and make it better? How will you as a fraternity/sorority leader, elevate this organization? Undergraduates hear this message better because it’s a variation of “good to great.” It doesn’t start with the premise that the fraternity or sorority is broken. Rather, it allows students to acknowledge the things they love about their organization while still pushing them to make it better. In a weird way, not talking about change may actually create more of it. Elevation is about incremental steps that keep pushing an organization or cause higher. When we push the concept of change, we may inadvertently be promoting 180-degree or 360-degree shifts, when that’s not really what’s needed. Undergraduates generally bring a level of enthusiasm and spirit that we cannot match. To them, the world is a place of hope, optimism, and brightness. Life is beautiful. The world is their oyster. Nothing is impossible. So, let’s meet them where they are. Let’s reach them at that spirited level, where everything doesn’t need to change, but everything can be better. 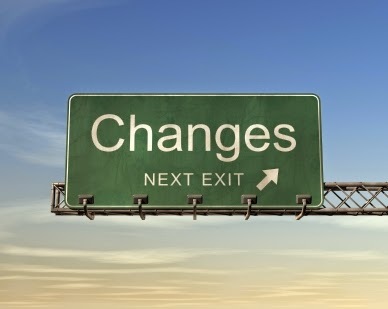 From my observations, using the word “change” can put the brakes on this spirit. I’ve heard from so many Greek Advisors that tell me their undergraduates need a “wake up call.” They need to know how it really is, or should be. They need to be motivated to change. Do they? Do they really need someone popping their balloon? How has that served us so far? Change may be the wrong message. Let’s challenge them to elevate their organizations instead. Shertzer: From a guy who has spent a lot of time talking about change...I agree and believe you have hit the nail on the head. Change is seen as scary, change is seen as something to fight against. To elevate, to improve, to uplift...all brings positivity to it and a rallying cry that can find wide support. There are still those areas that desperately need to just CHANGE...they are broken and a horizontal shift is much more appropriate than elevation. But careful consideration of verbage can certainly take a conversation a long way towards success. I agree with the concept of elevation over change. It's a variation on the mission we've heard before: leave this place/organization better than how you found it; pay it forward; pave the way for those who will follow. It may sometimes involve change, but more often involves enhancing what already exists. Very good post - it's a subtle but important point. In our undergraduate leadership training we have emphasized driving change. Upon returning to their chapters, the first hurdle for our members is always convincing others that there are problems and change is necessary. This is where most efforts then flounder. Emphasizing elevation/taking it to the next level bypasses that entire hurdle and allows them to get on with the real work of improvement. Reframing "change" in this manner is very inspiriing. It capitalizes on the strengths of our members and organizations. Makes them focus on what they do well and taking that to the next level!